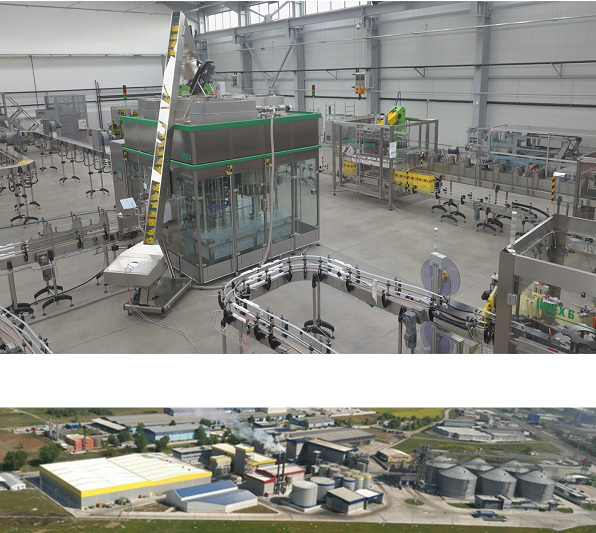 One of the biggest Turkish manufacturers of sunflower oil - the company REKA OIL found in the "Index-6" a reliable partner for a large scale project - complete line for filling and packaging. In their factory, the next INDEX-6® combo machine with the registered trademark B-Ifill™ began to work - it involves blowing, filling and closing PET bottles in a compact unit. The performance is 16,000 bottles per hour, and the machine is equipped with all necessary accessories and devices for a reliable and continuous workflow. The blowing module is a rotor with 8 blow stations, directly connected and synchronized with a weight filling bloc- 32 patented filling valves and rotor with 8 capping heads. Double orientation and check caps with a patented Index-6® device are provided before feeding them to a large buffer to prevent the machine from stopping due to a faulty or missing cap. This is a great advantage to control in problem areas and instant auto response of the machine without the intervention of an operator. All lines are preconfigured and tested in the Index-6 factory prior to a customer installation shipment, which is a guarantee for trouble free operation in real life conditions. The photo below illustrates this test process.